During the onset of girls basketball in the state, Cheyenne-Eagle Butte was one of the smallest high schools in Class A. But the Braves had a player who was among the biggest stars. Donna Muir was a rare three-time first team all-stater, earning that honor in 1975, 1976 and 1977. Whether playing on the inside or the outside, she was a steady force for the Braves. As a sophomore, despite being only 5-foot-7, the dynamic Muir was Cheyenne-Eagle Butte’s center. She excelled at that position while competing against taller opponents. Muir averaged 15.7 points and 12 rebounds per game that season. The Braves finished with a record of 13-4. The next year Muir was moved to her more natural position of guard. Making a smooth transition she quickly established herself as a premier ball-handler and passer. Muir improved her scoring to 19.5 points per game for the Braves while shooting an impressive 63 percent from the field. During her 1977 senior season Muir boosted her average to 23.2 points per game. Muir played collegiately for Delta State University (Miss.). 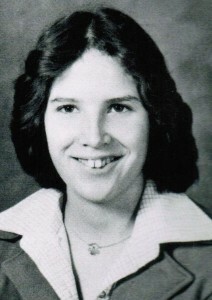 She earned letters in 1980 and 1981 and received the team’s award for Most Improved Player. Her coach with the Lady Statesmen was Frances Garmon.